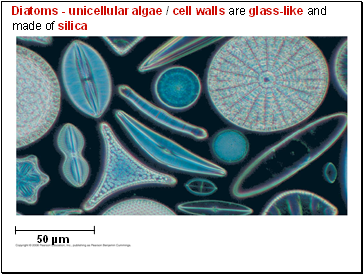 Even a low-power microscope can reveal a great variety of organisms in a drop of pond water. Protist is the informal name of the kingdom of mostly unicellular eukaryotes, but there are some colonial and multicellular species. 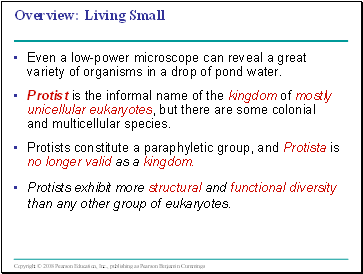 Protists constitute a paraphyletic group, and Protista is no longer valid as a kingdom. 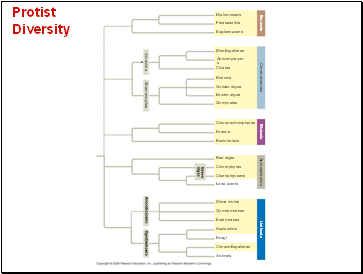 Protists exhibit more structural and functional diversity than any other group of eukaryotes. 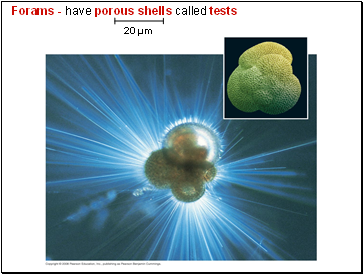 Protists can reproduce asexually or sexually, or by the sexual processes of meiosis and syngamy. Heterotrophs - absorb organic molecules or ingest larger food particles. 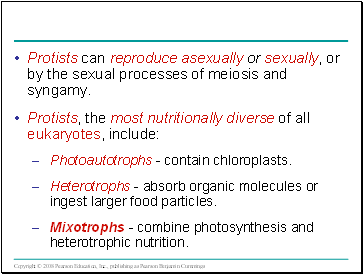 Mixotrophs - combine photosynthesis and heterotrophic nutrition. 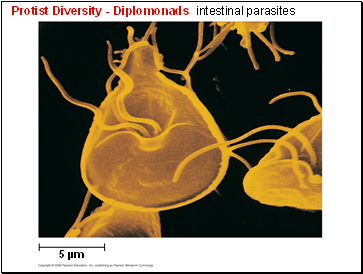 There is considerable evidence that much protist diversity has its origins in endosymbiosis. 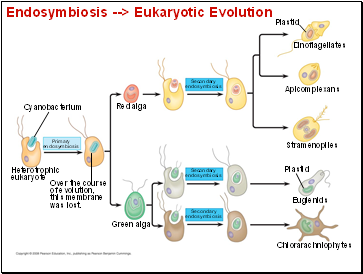 Mitochondria evolved by endosymbiosis of an aerobic prokaryote. 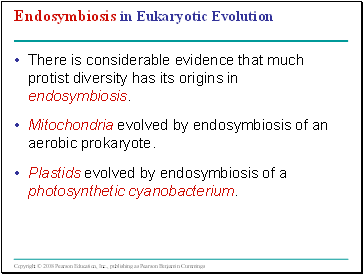 Plastids evolved by endosymbiosis of a photosynthetic cyanobacterium.